CELEBRATE a love of fish and chips on 1 June, and you would also be supporting the economy and aiding charity. 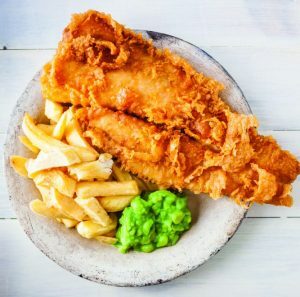 Last year’s National Fish and Chip Day saw more people enjoy fish and chips as daily sales hit an all-time high for many fish and chip shops across the country, as well as raising money for the Fisherman’s Mission which supports fishermen and their families. The UK’s fish and chip industry is a large-scale employer with 10,000 shops across the country, a business sector where the annual spend on fish and chips in the UK is around £1.2 billion. “There have been more takeaway options over the years, but you can’t replicate what a decent fish and chip does. It’s not that easy, you’ve got to work at it,” said Mike Hales, in the industry for 30 years, and in his sixth year operating Ye Olde Fishmarket on Guildford Road as a family-run business.